Pas bien compris le fonctionnement...c'est le rasoir qui se visse pour être ajusté et affûter sur la pâte du couvercle ? Hooooooooo m'en faut un ! Tu vas pas te raser en vacances ? quoi !?? pour les vacances tu ne prends que ca ? meme pas 4 ou 5 AS et deux ou trois baumes? Surpris par la douceur de ce rasoir (faut juste encore un peu de cuir pour être parfait), ca tranche sec, l'exposition de la lame est parfaite, aucun risque de se trancher l'épiderme. J'adore le concept, j'adorerais expérimenter ce genre de rasoir. Si ce n'est pas indiscret, combien ça vaut ce genre de bestiolle et très bon état ? Faut faire attention a la pierre, elle est souvent cassée, et surtout avoir une lame neuve ! Attention les pièces d'un modèle donné ont spécifiques et ne vont généralement pas sur les autres .....!!! C'est moi qui mon Thierry, on est pas les seuls à aimer la restauration, la rouille à gratter et le plaisir à se raser avec du stuff qui a une âme. c'est vraiment un très bel objet plein d'ingéniosité, je viens de récupérer un modèle viscount quasi NOS, il y a le prix, les docs comme sur le topic de loic, et même la facture (l'acheteur a eu une remise 9,99 usd au lieu de 17,5), seule la pierre est félée. Sympa la boite, tu aurais une photo de la facture d'origine ? Ca a l'air intéressant ! Cha-wing!! a écrit: Sympa la boite, tu aurais une photo de la facture d'origine ? Ca a l'air intéressant ! mais je n'ai pas la mention traveller set à l'interieur du couvercle et ma boite est toute rouge, elle n'a pas l'effet "lezard?" C'est le modèle plaqué argent avec manche télescopique. Il a existé en plaqué or aussi. Le déballage m'a sacrement noirci les mains. Un premier nettoyage et huilage (huile de machine à coudre). par contre, quasiment impossible de tirer la lame sur le cuir, ou de la pousser sur la pierre. Il a fallu huiler le tube autour de l'axe, sur lequel la lame est fixée, pour résoudre le problème. Déjà à peu près 4 heures de taf. 20 aller/retour sur la pierre avec quelques gouttes d'eau. Au plus proche du meilleur jamais obtenu. BBS vraiment profond; pas de trace de barbe visible, malgré ma barbe très brune. Et tout ça sans douleur et très peu de PDS ! Ce rasoir est une arme fantastique ! Un petit échauffement post rasage, vite calmé au Pitralon (merci la Boiboite !). C'est définitivement mon rasoir préféré de jeudi dernier ! J'avais bien remarqué qu'il faisait un petit bruit bizarre, un petit cric cric, quand j'appuyais sur le cuir. et faisait tomber des débris, gros comme des grains de sable, dans le mécanisme. A mon arrivée au Fabricarium, pour remplacer le cuir, le mécanisme était totalement bloqué. J'ai découpé au laser un bout de cuir de 3 mm d'épaisseur, pour remplacer le cuir d'origine. il a suffit de frotter le verso du cuir au dessus d'une poubelle pour que tout se barre. J'ai découpé un bout de liège de 2 mm d'épaisseur, pour faire un tapis et récupérer l'épaisseur d'origine. Il a fallu tout re-nettoyer encore plus minutieusement. Virer toute la graisse encrassée de débris de cuir. Ça m'a coûté deux brosses à dents ! Et ce coup ci j'ai re-graissé le mécanisme à l'huile de silicone. Le trempage de la lame avec le reste l'a carrément noircie, erreur ! A noter que les couvercles ne semblent pas plaqués argents, contrairement au reste. cuir et pierre, étaient peut-être vendues avec leur couvercle. il est télescopique, avec une bille de serrage, montée sur ressort, pour un emboîtement "en force". sauf pour fixer la lame, ou ça s'avère plus compliqué. et me raser avec un rasoir conçu pendant la première guerre mondiale. Thirteen British patents were issued between 1917 and 1950 and eight U.S. patents were issued in 1918-1951. 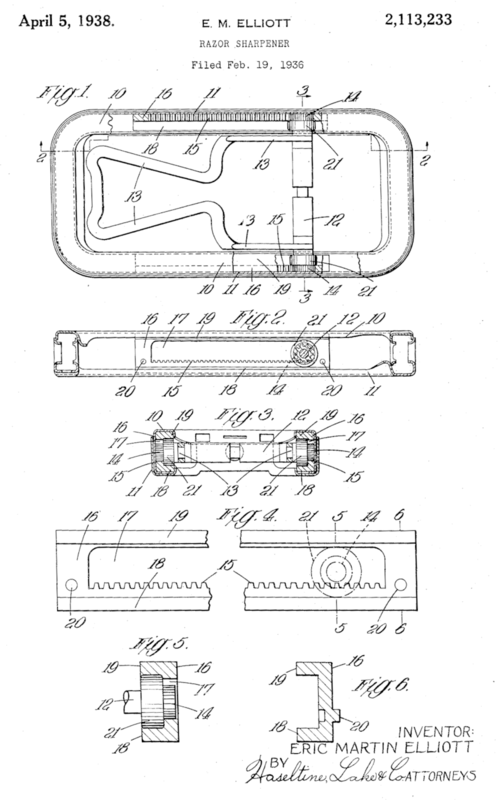 DEVICE FOR SHARPENING SAFETY-RAZOR BLADES Application led August 1, 1925, Serial No. 47,627; and in Great Britain August 16, 1924.
leaving the pin in the reversal and whetting movements. In order to provide for the blade being engaged with pin and disengaged therefrom the abutment or abutments on the pin may project or be situated only in one direction transverse to the axis of the pin o r project substantially less in that direction as compared with a direction at right angles thereto and the outer part of the hole in the blade between the recess or recesses therein and the back of the blade may be of a slot-like or elliptical shape, its larger diameter being at right angles to and a little larger than the greatest diameter across the abutment or abutments on the pin whenthe blade is on the pin in the sharpening position and the smaller diameter of the outer part of the hole is such that the abutment or abutments on the pin at the least dimension across it or them or the portion between it or them can pass through it. The result 'of thisprovision isthat the blade may be connected with the pin by placing the hole in the' blade over the pin on the carrier while the blade is at right angles to the axis of the carrier and then turning the blade through an angle of about 90 and the blade may be disconnected by reverse action. Figure 1 of the said drawings is a fragmentary somewhatv diagrammatic plan view of the carrier for the blade in the razor sharpening device with the blade connected thereto. Figure 2is a section taken on the line A, A Figure 1, showing som'e parts in side view, Figure 3 is a sectional view similar to Figure 2 but showing the blade and the adjacentA parts of the carrier in the position they adopt when the blade is being traversed over the sharpening surface, Figure 4 is a sectional view taken on the line B, B Figure 2, and Figure 5 is a sectional View taken on the line C, C' Figure 2. The said sections Figures 4 and 5 only show the parts adjacent to the connection between the carrier and the blade. Figures 6, 7 and 8 are respectively a face view, end view and detail in section `on the line D in Figure 7 illustrating the guard member hereinafter described preventing also the edge of the blade striking the sharpening surface before the back part. 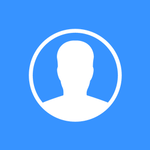 In the following description the 'parts of the said drawings are referred to by the letters marked thereon and the same letters indicate the same parts in all the figures. - the end of the pin may be of other forms as for instance conical, the point having a bearing at the apex of aconical shape of shal- ,20' lower angle given to the bottom of the hole. abutments L, 77, do not interfere with the freedom of the blade to tilt or rock to a limited extent on the end of the pin as described lbut nevertheless prevent,- the blade leaving the pin during the whetting operation. When the blade is being honed it is caused to pass over and bear on the whetting or sharpening surface with its edge foremost by the end of the pin c working and bearing on the bottom of the hole in the blade without interfering with any tilting or rocking of the blade and'therefore there is no tendency for the blade to leave the pin during the stroke but nevertheless an abutment such as those at L is necessary at least to prevent the blade leaving the pin during the reversal movement of the blade. blade it is caused to pass over the stropping surface with its back foremost and in this case although the end of the pin c' puts pressure on the blade, the blade is drawn overthe stropping surface through the mediuml of the abutments h, h bearing against the outer wall of the recess i and they also prevent the bladeleaving the pin during reversalmovementof the blade. bladetis being presented ito the whetting or causing the blade to tilt so that the back partv bears on the whetting or sharpening surface before the pressure is sufficient to bring the edge into contact with the surface against resistance of the member to movement -relatively to the blade. Such a member may be functionally constituted by a guard member to prevent injury to the fingers and/or a guard to act as such in shaving such as illustrated in Figures 6, 7 and 8 in which j is the guard member pivoted to the blade at k, c, so that it may be moved from one side of the edge of the blade to the other. The arms of the guard member are slightl resiliently displaceablefrom the ends of t e blade and one arm` carries a pin working in a recess Z of greater diameter than the pin to limit the movement of the guard member and at the other arm of the gJuard member is the device to retain the mem er temporarily in position to one or other side of the blade, the device also causing the latter art of the movement of the guard member 1n either direction to' take place automatically. This device consists of a sphere m arranged in a recess in the blade and having some freedom of lateral movement therein in a direction across the thickness of the blade and a projection n on the. end of the arm of the guard member which projection rides over the 'outer ortion of the s here against the resilience of t e arm when t e guard member is moved towards and past the edge of the blade. The project1on n 1s form of a steel sphere secured in a recess 1n the arm by pressing the adjacent metal around the sphere. 2. 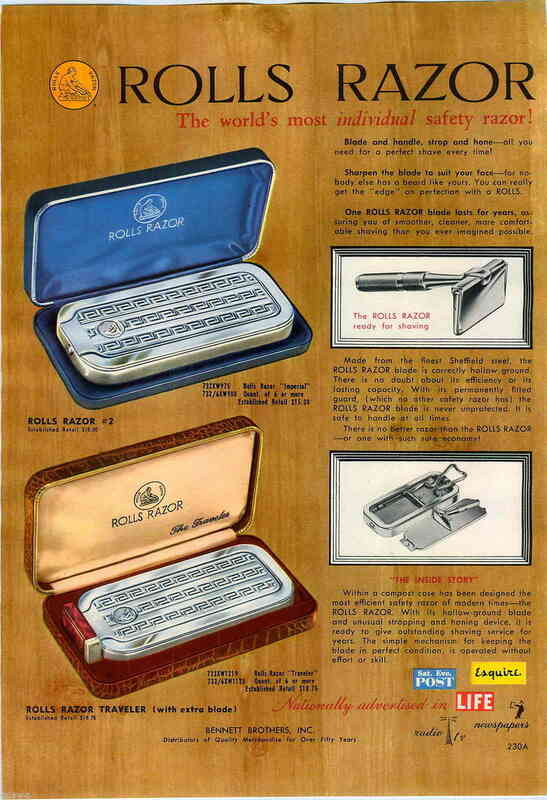 In combination in a safety razor blade sharpening device, sharpening material, a reciprocable carrier for the blade, means to automatically rock the blade at the end of each stroke to reverse it, means to cause the blade automatically to bear on the sharpening surface of said material during the stroke, and a pin on the carrier engaging in a hole in the back of the blade, the said pin having a working bearing at or near the bottom of the hole and having a diameter smaller than the width of the Ahole in the direction of the thickness of the blade, from the bearing part of the pin outwardly, to ai'ord room for sullicient angular play between the pin and the blade to enable the back part of the blade as well as its edge part to adjust themselves on the sharpening surface without restraint by the said pin. 3. In combination in a safety raior blade sharpening device, sharpening material, a reciprocable carrier for the blade, means to automatically rock the blade at the end of each stroke to reverse it, means to cause the blade automatically to bear on the sharpening surface of said material during the stroke, a pin .on the carrier engaging in a hole in the back part of the blade, the said pin having a Working bearing at or near Athe bottom of the hole and havinga diameter smaller than the width of the hole in the direction of the thickness of the blade,'from the bearing part of the pin outwardly, to afford room for suiiicient angular `play between the pin and the blade to enable the back part of the bladeas well as its edge lpart to adjust themselves on the sharpening surface without restraint by the said pin,vand an abutment or abutments on the said pin to en age in a recess or recesses Ain the hole inthe lade to prevent the blade leaving the pin during operation of the sharpening device. 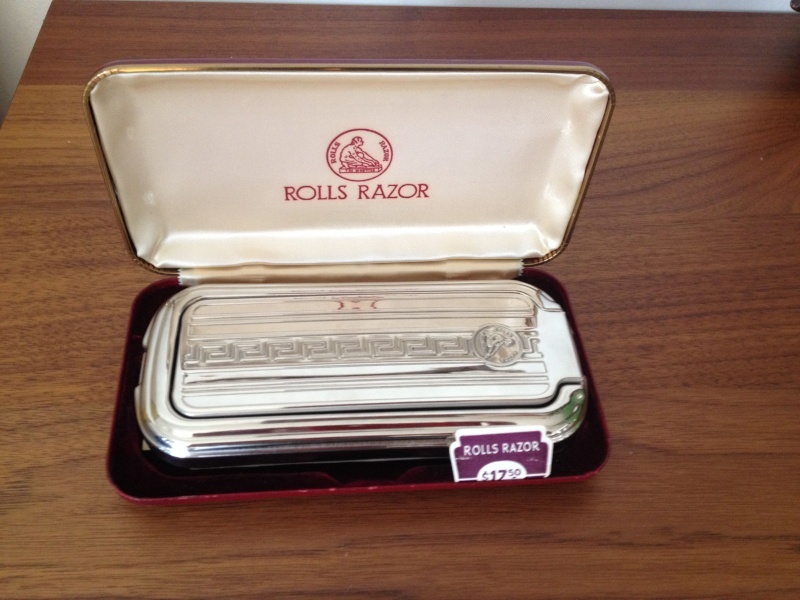 name of the assignee in the Vabove numbered patent was erroneously written 'and printed as "Rolls Razor (1927) Limited, Aof imam. angina, a muy of crm Britain", whereas said me should have been written and printed as Rollsrlhnor Limited, of London, England, a company of Great Britaimas shown by the records of assignments in this office; and that the said Letters Patent should be read with this correction therein conform tothe record of the case in the Patent Office. Signedand sealed this 21st day of October, A. D. 1930. (Seal) Y Y Acting Conlnissioner of Patents. RAZOR SHARPENER Filed Fb. 19, 1936 4. 17 11 A "13L I v 1% 1J 111a 211; 21 16 16' 1 7 19 W4 31 J 4 4 4 F/ 3 v [a Q Z/ f5 INVENTOR= ERIC MARTIN ELLIOTT 5v mo e flmwavs Patented Apr. 5, 1938 UNITED STATES nszoa SHARPENER. British company Application February 19, 1936, Serial No. 64,719 In Great Britain February 26, 1935 2 Claims. The present invention relates to devices for sharpening safety razor blades of the kind in which the blade is automatically rocked or reversed at the end of each stroke and provision is made for honing or stropping the blade (or both), see for example the specifications of Patents Nos. 1,266,183 and 1,512,058. 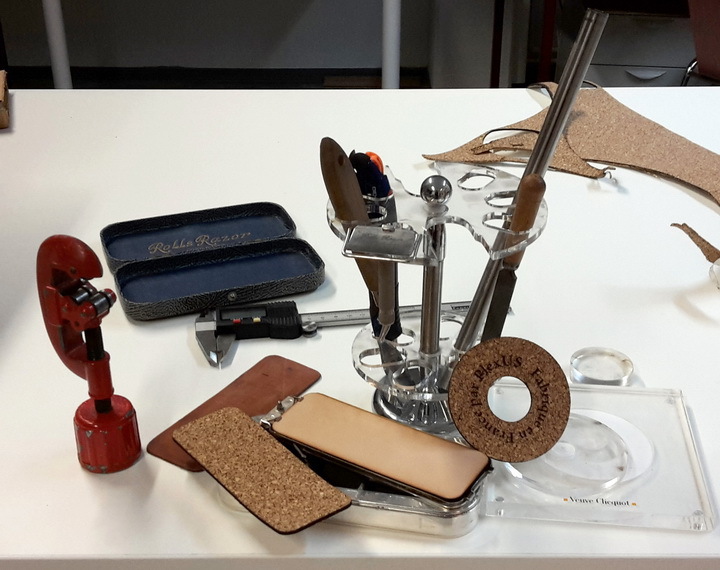 The chief object of the present invention is to provide a means of construction of the razor box or casing whereby the said razor box or casing is suitably reinforced to enable better and more accurate engagement of the gearing racks and the spindle pirnons to be obtained. According to this invention the form of the -razor box or casing is thickened or stiffened in cross section, or suitable parts are secured to such box or casing to provide a thickening or stiffening along those portions (herein called tracks) traversed by the spindle or its guiding wheels, rollers or the like in order rigidly to receive and resist the resultant gearing stresses from the spindle pinions meshing with their respective racks and other applied forces. The spindle in such forms of razor sharpening devices referred to is disposed centrally by the guiding wheels or rollers between the inner faces of the tracks, and the gearing racks are suitably disposed to allow the spindle pinions to mesh therewith. The said thickening or stiffening of the razor box may be provided by riveting or otherwise securing a member or members of suitable crosssection to and within each longitudinal side of the razor box or casing, such member or members being so disposed as to provide suitable tracks for each spindle guiding wheel or roller. Such thickening or stiffening members may be of channel form in cross-section and secured within the longitudinal sides of the razor box or casing so that the base of each channel section is adjacent and parallel to each such longitudinal side of the razor box or casing, the inner faces of the open arms or legs of the channels providing uninterrupted tracks for the spindle rollers. Such channel sectioned members may have suitable portions cut away to allow of the gearing racks being also mounted and secured within the longitudinal sides of the razor box or casing and also to allow of the meshing of the spindle pinions with the said gearing racks. The stiffening members may have the gearing racks secured to them, or advantageously formed directly on the material of said thickening or stifiening members. In one embodiment, the thickening or stiffening member is formed of channel sectioned material having a slot centrally disposed along part of the base of the channel preferably nearer to one channel leg'to allow suitable rack teeth to-be out or formed in one longitudinal side of the slot. The pitch line of such rack teeth is so disposed from the inner faces of the channel arms as to admit of the meshing of the spindle pinion with said rack teeth. Each spindle guiding wheel or roller may be of one piece or of composite form, and of cylindrical shape. In one embodiment of the invention the spindle guiding wheel or roller may have one or more flats on its periphery so that instead of rolling within the track it slides therein, while the sliding member has its spindle bearing hole formed so that in situ the spindle is nearer to one of the inner track faces than to the other. The spindle may also be so increased in size as to bear directly on the tracks, so that the spindle guiding wheel or roller is dispensed with. 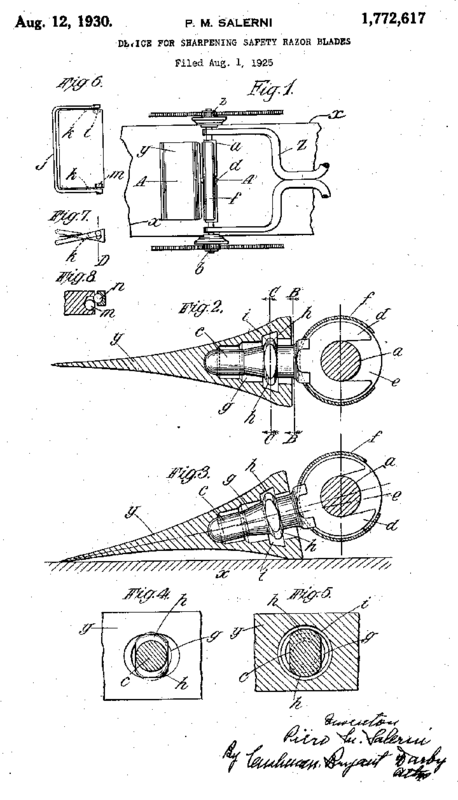 Figure 1 is a plan View partly in section of one embodiment of the present invention, showing in particular the operating handle and the blade carrying spindle, which latter has mounted thereon the pinions that engage with the racks at the sides of the razor box or casing. Figure 2 is a longitudinal sectional view taken on the line 2-2 of Figure 1. Figure 3 is a cross-sectional view taken on the line 3-3 of Figure l.
Figure 4 is an enlarged side View of one of the racks in accordance with this invention. Figures 5 and 6 are cross-sectional views taken on the lines 55 and 6-6 respectively of Figure 5. As shown in Figures 1 to 3, the casing or box is constituted by two parts or frame members it! and l I, the former fitting in the latter and being secured in position in any suitable or usual manner. The two frame members In, H are closed by oppositely disposed removable honing and stropping surfaces (not shown) along either of which the razor blade when mounted on the spindle l2 can be rocked as a result of moving the handle 13 backwards and forwards to cause the pinions 14 mounted on the ends of the spindle l2 to travel along the racks I5 and effect the necessary angular movement of the spindle and the blade which is removably mounted in a carrier (not shown). In the example shown, each :ithe channel sectioned strips I6. - sectioned strip which provide thetracks along Which the guiding wheels or rollers 2I travel, resist the gearing stresses resulting from the spindle pinions I4 meshing with their respective racks I5, together with other applied forces. 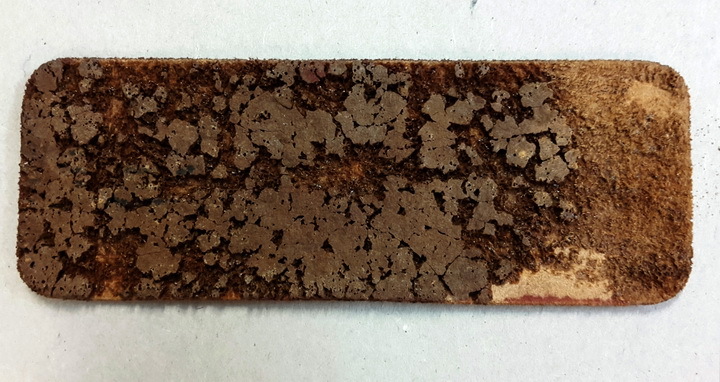 Although it is preferred to provide reinforcing or stiffening members in the form of channel sectionedstrips, it will be understood that other forms of strips may be used. Although the rack is integrally formed with the channel sectioned strip, it will be understood that separate racks may be provided, and in such case they may be inserted in or fixed on the reinforcing strip in any appropriate manner, for example by rivets or otherwise. Although in the example shown the guiding wheels or rollers are of cylindrical formation and roll on the track surfaces, there may be provided members that travel along the said tracks without rolling. For instance, guiding members similar to those represented by the reference 2| may be provided with a fiat or flats at the periphery to engage with the track or tracks, so that instead of a rolling action along the track, a sliding action takes place. In a further modification, the spindle itself may be increased in size'ordiameter so as to roll or slide directly on the tracks, in which case separate guiding wheels or members can be dispensed with. 1. A razor sharpening device of the character described, comprising a casing, a portion having a sharpening surface, sliding means in the easing for carrying a razor blade and causing it to move in contact with said sharpening surface, rotatable pinions on said sliding blade-carrying means and reinforcing means consisting of channel-sectioned strips afiixed to the longitudinal sides of the casing, the main part of the channel-sectioned strips lying adjacent to and parallel with said longitudinal sides, and racks carried upon said main part of said strips and adapted to be engaged by said pinions, while the inner surfaces of the arms of the said strips constitute bearing tracks, andmeans associated with the slidable blade carrying means for bearing on said tracks which resist the resultant stresses arisingfrom the pinions meshing with their respective racks and from other applied forces. 2. A razor sharpening device according to claim 1, in which each channel-sectioned strip has a longitudinal slot in the main part lying parallel with the longitudinal sides of the casing and disposed between the lateral arms forming the bearing tracks one edge of said longitudinal slot having rack teeth adapted to be engaged by the respective pinions both for honing and stropping purposes, said bearing tracks being respectively used in turn, the one track when stropping and the other track when honing. SAFETY RAZOR Filed nec. 23, 1944 Patented Aug. 8, 1950 SAFETY RAZOR Edgar Harold Law, Gerrards Cross, England, assignor to Rolls Razor Limited, London, England, a company of Great Britain Application December 23, 1944, SeralNo. 569,458 In Great Britain January 26, 1944 The invention relates tc safety razors of the kind in which the blade is removablyattached to a handlewhich for the purpose, has a jaw-like gripping head, in which the blade is adapted to be engaged and held in position by a pressure member, the invention being more particularly applicable to the case where a comparatively rigid razor blade is used in a contra-distinction to what is known asa wafer blade. 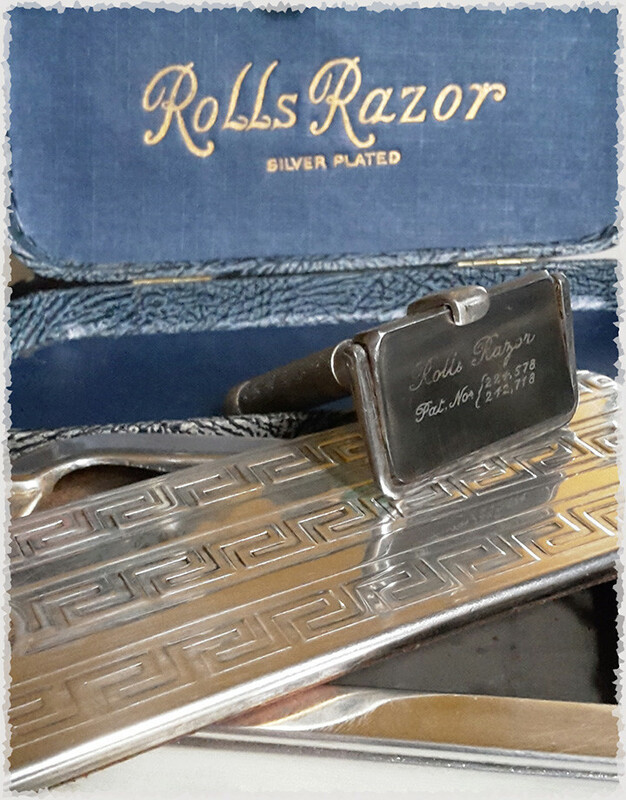 The object of the invention is to provide an improved form of handle for this `kind of razor. 'I-Iitherto, in constructing the handle, the practice .has been to make the gripping head as one piece and the handle proper as a separate piece, the two being screwed or otherwise joined together, the handle proper being provided with a bore accommodating a spring-pressed ball which projects into the gap in the gripping head so as to press upon the blade when the latter is inserted in the head and which is restrained against total ejection by a displacement of the metal at the end of the handle. It has been found that in order that the razor blade when applied to the gripping head, shall be retained therein with sufficient security, considerable spring pressure has to be applied to the ball. The ball is, for convenience, of small size and, because of the spring pressure necessarily imposed on it, difficulty is experienced in making the restraining means strong enough to ensure that the ball will not be totally ejected from the handle proper when the blade is not present. One of the objects of the present invention is to provide a construction overcoming these drawbacks. A further object is to provide a construction which is more robust and serviceable than those of the earlier form, and one which presents no serious manufacturing diiculties. 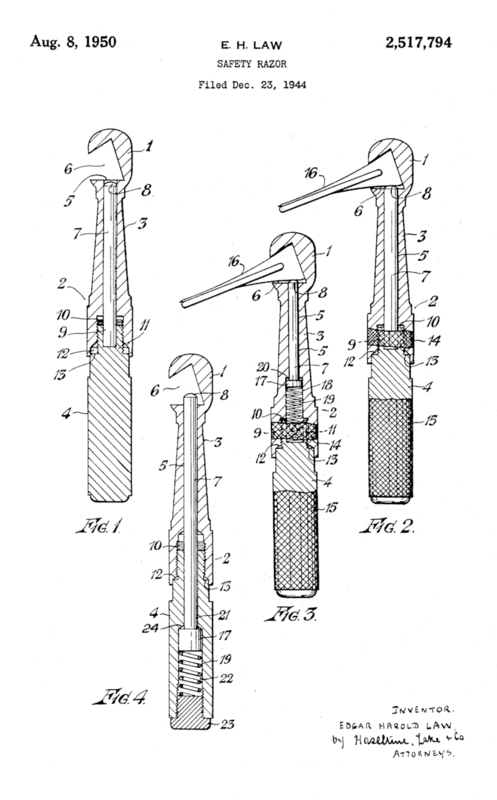 In accordance with the present invention, the member adapted for applying pressure ,to the blade when inserted in the gripping head, takes the form of a rod or plunger which is accommodated within the .handle proper and is movable for Asolid or resilient .engagement with the blade. Figure 4 is a view again similar to that of Figure 2, but illustrating the third embodiment. In the embodiment illustrated in Figures `1 and 2, `the gripping head l and the handle proper 2, or more strictly speaking, the upper part of the handle proper, are made in one piece as by machining from a `metal blank. The handle proper is divided about midway between its ends into two separa-te parts 3 and 4, the part 3 (the upper part) carrying the gripping "head I having a bore 5 which communicates with the wedge-like gap `l inthe head and accommodates, with a sliding lit, a thrust rod 'l `the upper extremity of which is preferably rounded as indicated at 8 and the lower end of which is engaged in a recess 9 in the top of the other part 4 (the lower part) of the handle proper. In Lthe .base of the handle part 3 there is provided a screwethreaded recess l!) adapted to receive a screw-threaded reduced portion Il at the upper end of the handle part 4. `The open lower end of therecess ill is preferably enlarged as indicated at I2, so that when the two parts of the handle are `fully screwed together, the enlargement will Vreceive and shield the shoulder `I3 formed at the junction of the screw-threaded portion Il of the handle `part l with the remainder ofthe latter. AThis is clearly shown in Figure 2. The :thrust rod A'i is of such length that when the handle part 4 is screwed fully into the handle part 3, the upper rounded extremity il of the rod `will project into the gap 6 in the gripping head l `(asindica-ted in Figure '2), while `when the handle part 4 is unscrewed to some extent, the extremity 8 lof the rod will be withdrawn into the bore 5 '(as indicated in Figure 1). The outer surfaces of the two handle parts 3 and 4 are lmilled or otherwise roughened as indicated at I4 and I5-'in Figure2 `to facilitate a gripbeing obtained `thereon `with the lingers `both in shaving and for screwing `one part `relatively to the other. "With the `arrangement described and the parts inthe position `depicted by Figure 1, the gap E in .thegripping head will be `free from obstruc tionsoethat the `rear portion of the razor blade lr6 (Figure 2) can readily be engaged in the said gap. If the front opening of the gap 6 is wide enough., this engagement can beeiected bypushciently wide for this purpose, the engagement can be effected by slipping the blade in endwise. If, now, the lower handle part 4 is screwed into the upper handle part 3, the rounded end 8 of the thrust rod I will be moved into the gap 5 in the gripping head I so as to engage with the undersurface of the blade I6 and press the upper surface of the blade against the upper limb of the gripping head7 the result being that the blade will be held firmly but detachably in position. The lower end of the thrust rod I may fit in the recess 9 with a detachable nt and both extremities of the rod may be rounded so that. The embodiment illustrated in Figure 3 is in many respects similar to that illustrated in Figures 1 and 2, and like reference numerals indicate like parts. In this case, however, the thrust rod 'I is shorter than before and takes the form of a plunger the lower end of which is provided with a flange I'I fitting freely in an enlargement I8 of the bore 5. The enlargement I8 provides accommodation for a compression spring I9 the upper end of which bears against the iiange, while the lower end fits in the recess 9 in the screw-threaded portion II of the lower handle part 4. With this arrangement and with the lower handle part 4 fully screwed into the upper handle part 3, the plunger 'I is constantly urged upwardly under the influence of the spring I9 so that the upper rounded extremity 8 of the plunger always projects into the gap 6 of the gripping head, the degree of such projection being limited by engagement of the flange I'I with the upper end 20 of the enlargement I8. Provided the degree of proiection is not too pronounced, the rear portion of the razor blade I 6 can be engaged in the gap 6 of the gripping head I by a simple sliding action` while the two handle parts 3 and 4 remain fully screwed together, this being permitted by the cam action exerted by the blade on the rounded extremity 8 of the resiliently mounted plunger 'I. Should, however, the degree of projection be too great for this to be done conveniently. it merelv becomes necessary to unscrew the handle part 4 to some extent so as to relieve the pressure of the spring I9 on the plunger 7. In either case. with the handle part l fullv screwed home` the pressure of the spring I9 acting through the plunger 'I will be suicient to press the upper .surface of the blade I i5 into firm engagement with the upper limb of the grinning head I. so holding the blade in correct position for shaving. In the embodiment -i'ust described the pressure of the spring I9 on the plunger 'I varies according to the extent to which the lower handle part 4 is screwed into the upper handle part 3. In the embodiment illustrated in Figure 4 a springpressed plunger 'I is also used, but in this case the pressure of the spring I9 on the plunger is constant, that is to say, the magnitude of its pressure in the plunger does not depend upon the position of the two handle parts 3 and 4 relatively to each other. To this end, the plunger not only extends through the bore 5 in the upper handle part 3, but is lengthened to extend with a sliding iit, through a bore 2| in the lower handle part 4. The bore 2l opens into a cavity 22 of enlarged diameter which freely accommodates the flange I 'I at the lower end of the plunger and which extends to the base of the lower handle part 4. The cavity 22 is screwthreaded to receive a screw-threaded plug 23.
and the space between this plug and the flangel I'I accommodates the compression spring I9 which maintains the flange I1 normally in engagement with the shoulder 24 formed between the bore 2I and the cavity 22, the plunger being of such length that, under these conditions, its upper rounded end 8 projects into the gap 6 in the gripping head I when the razor blade is absent. When the blade is in the process of being inserted in the gap 6 of the gripping head I, the pressure of the blade on the exposed rounded headv 3 of the plunger 'l' will cause depression of the plunger against the resistance of the spring I9, whereupon the spring will react to press the upper surface of the blade into contact with the upper limb of the gripping jaw, the blade thereby being held firmly but detachably in position in the gripping jaw. Should the degree of projection of the upper end of the plunger 'I into the grip 5 be too great for the blade to be readily inserted, it can be reduced by unscrewing the lower handle part 4 from the upper handle part 3 so as to cause withdrawal of the upper end of the plunger to the requisite extent, the two handle parts can thereupon be fully screwed together, the spring I9 allowing the plunger I to accommodate itself to the thickness of the blade. The possibility presents itself of varying the pressure of the spring I9 by adjusting the plug 23. The construction illustrated in Figure 4 allows the two handle parts 3 and 4 to be entirely separated from each other while leaving the plunger 'I and the spring I9 in situ with the lower handle part 4. Although in the various embodiments illustrated the gripping head is shown made integrally with the upper handle part 3, it will be understood that it can, if desired, be made as a separate member secured to the said part. 1. 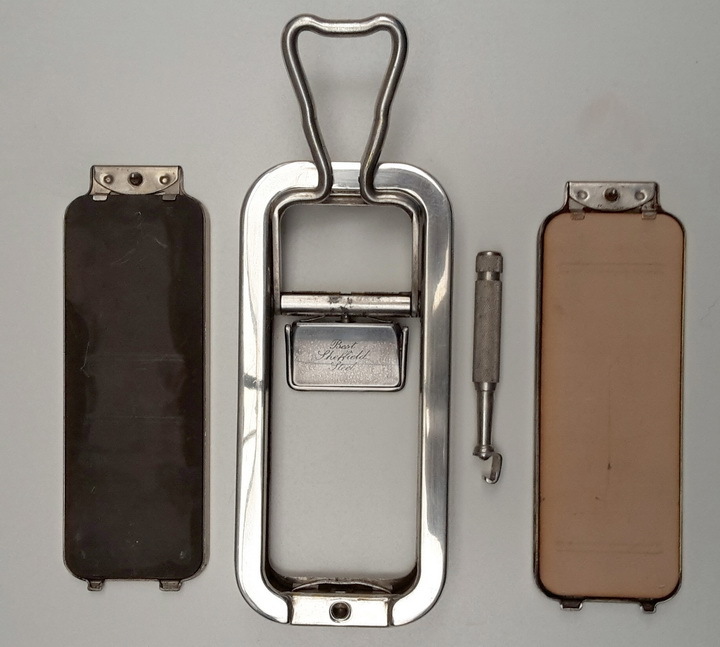 A safety razor blade holder for a blade with a single cutting edge, the said holder comprising a handle divided into two parts, namely an upper part and a lower part. the said two parts having screw-threaded engagement with each other. a grinning head made inteirrallv with the Isaid upper handle part, the said head including a non-resilient jaw overhanging the upper handle part so as to provide between it and the fatter a recess adapted to accommodate the portion of the blade opposite the cutting edge, a hole extending through the upper handle part from the said recess. a rod accommodated in the said hole and having its lower end operatively connected to the lower handle part, the said rod being movable in the said hole so that by rotation. of the lower handle part relatively to the upper handle part the upper end of the rod will proiect into the said recess and, when the blade is in position in the recess, will engage directly with the under-surface of the blade so as to press the upper surface of the blade against the said overhanging jaw, thereby retaining the blade in the said gripping head, the lower handle part being provided with a recess, and a spring accommodated therein in direct contact with said rod. 2. 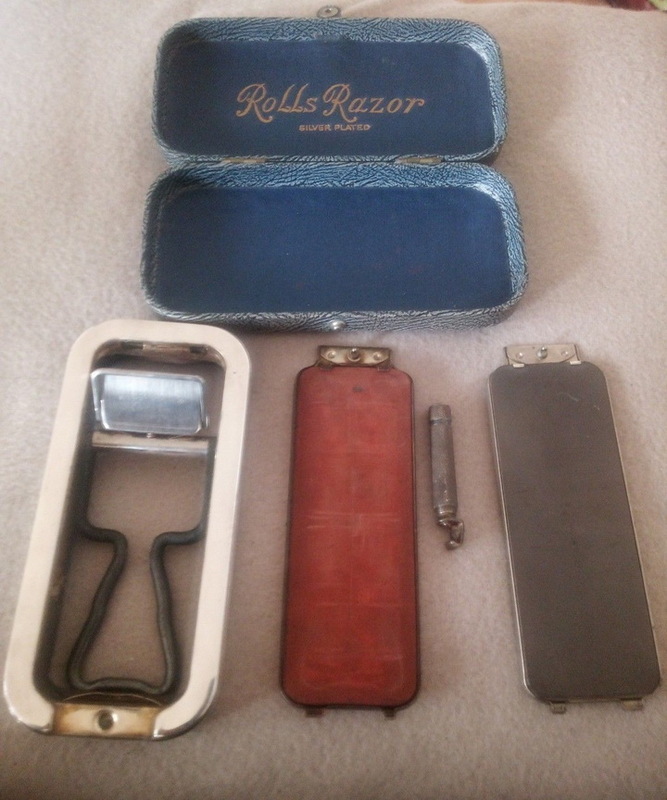 A safety razor blade holder according to claim 1, wherein the said rod is in direct engagement with the lower handle part. 3. A safety razor blade holder in accordance with claim l, wherein the lower end of the upper fhennfdle part is also provided with a recess, the recess of the lower handle part being at the upper enthereof and complementary to the recess of the Iupper handle part, a part of the spring being 'c'commodated in each recess. On peut donc en déduire que nos modèles datent tous des années 40 à 50.